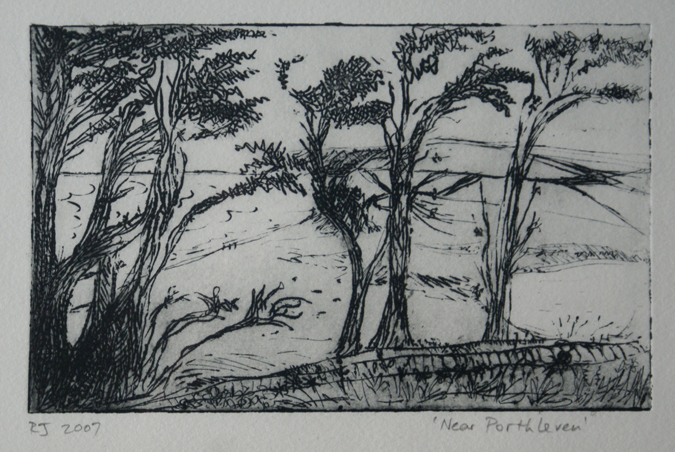 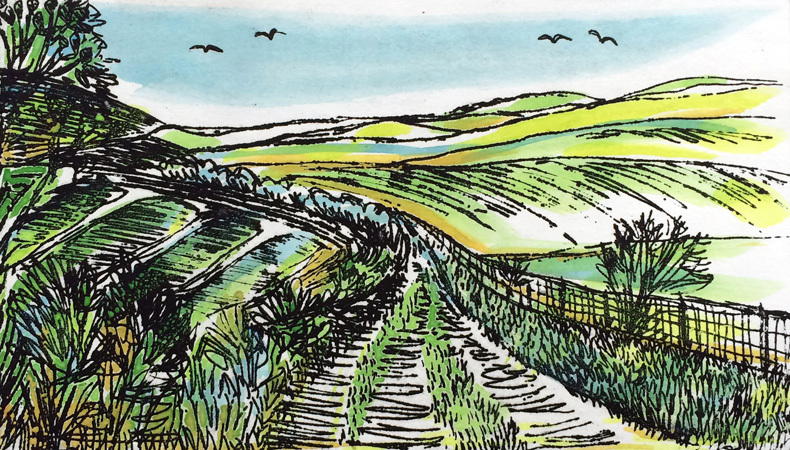 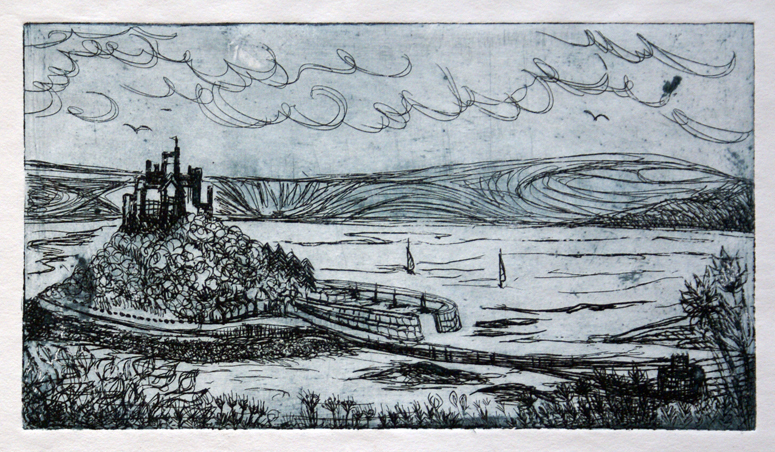 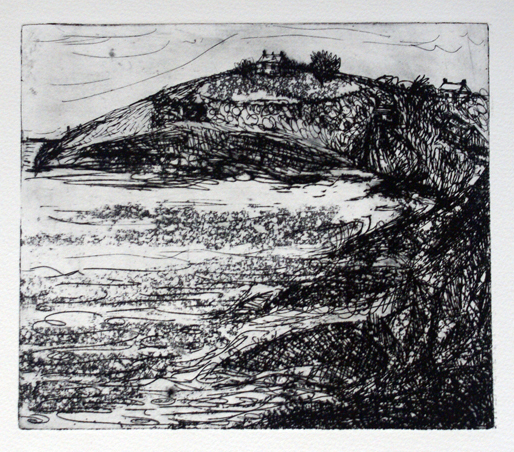 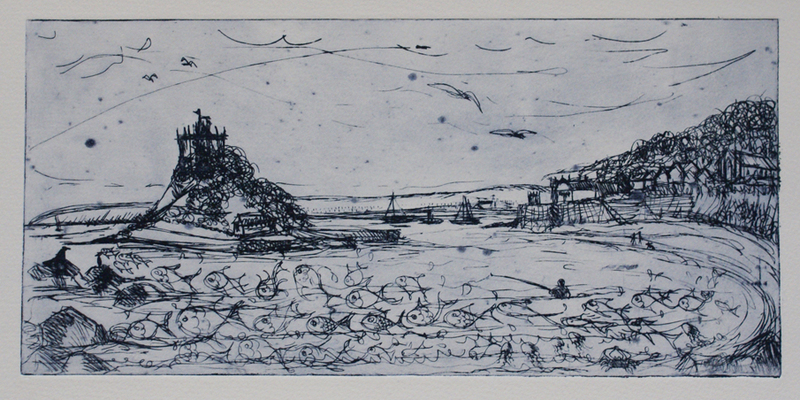 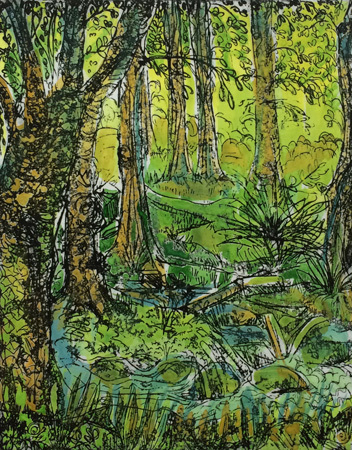 For some years now I have been on etching holidays to Cornwall to Oliver West’s Plein Air Printmaking Holidays. 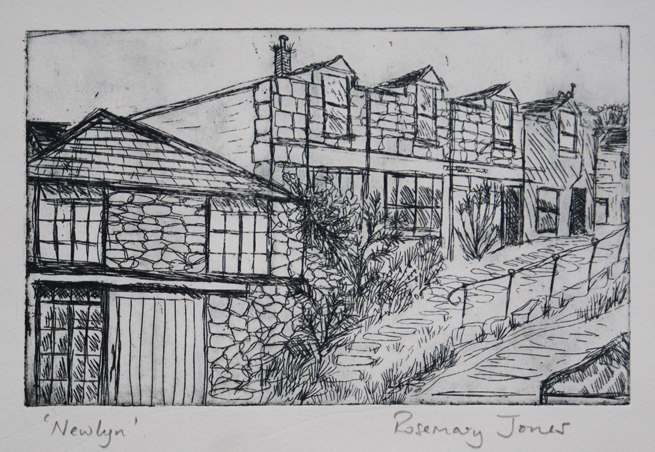 Based in Marazion, overlooking St Michael’s Mount, we’ve had time in the landscape, making prints, sketching, and generally enjoying life! 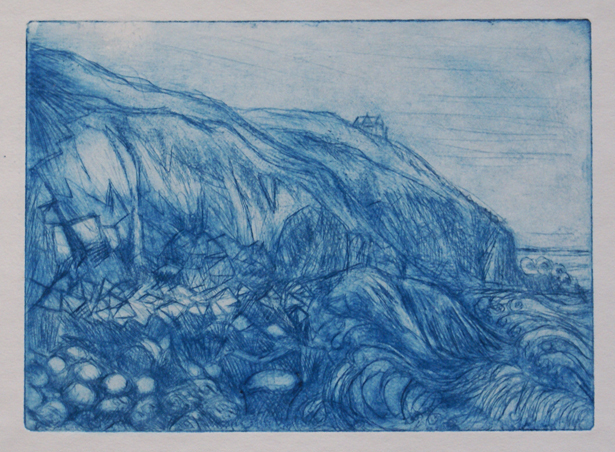 Oliver is an excellent tutor, and these prints are my examples of drypoint and acid etching. 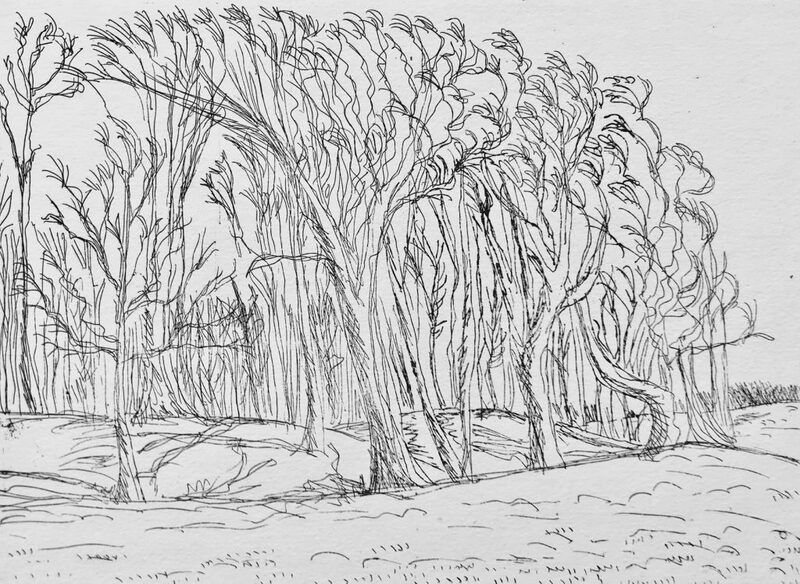 Now I’ve worked out how to do etching at home using the Edinburgh etch, and my etching ‘Trees at Chanctonbury Ring’ has been chosen for the Worthing Open 18 at Worthing Museum & Art Gallery. 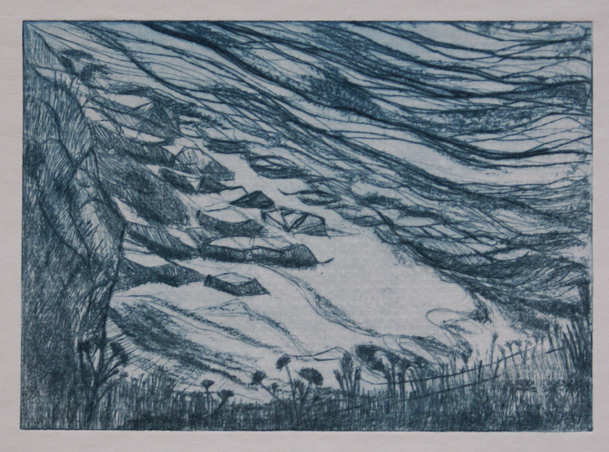 Exhibition on 3rd November 2018 to 30th March 2019.